I have another finish for 2014. 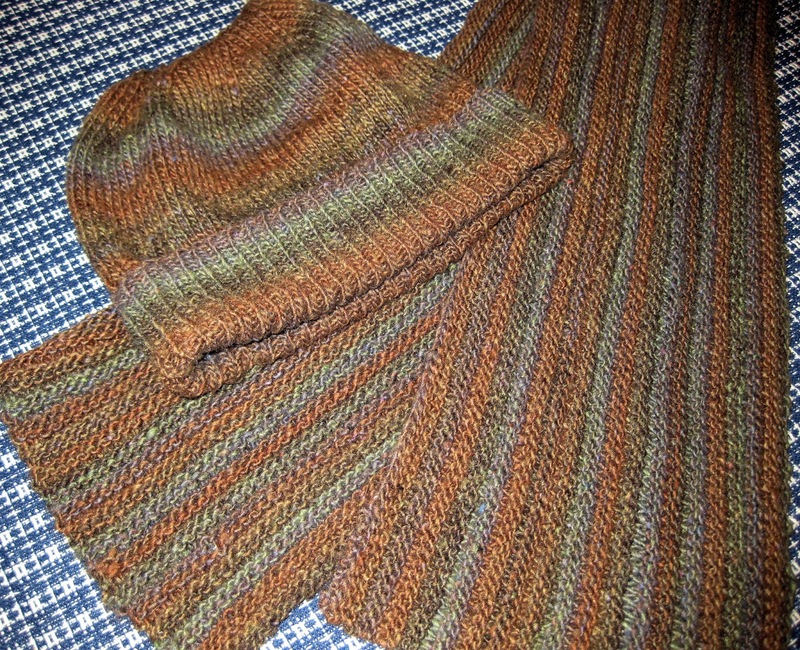 I finished up the hat that matches the self-striping scarf I made for Keith. 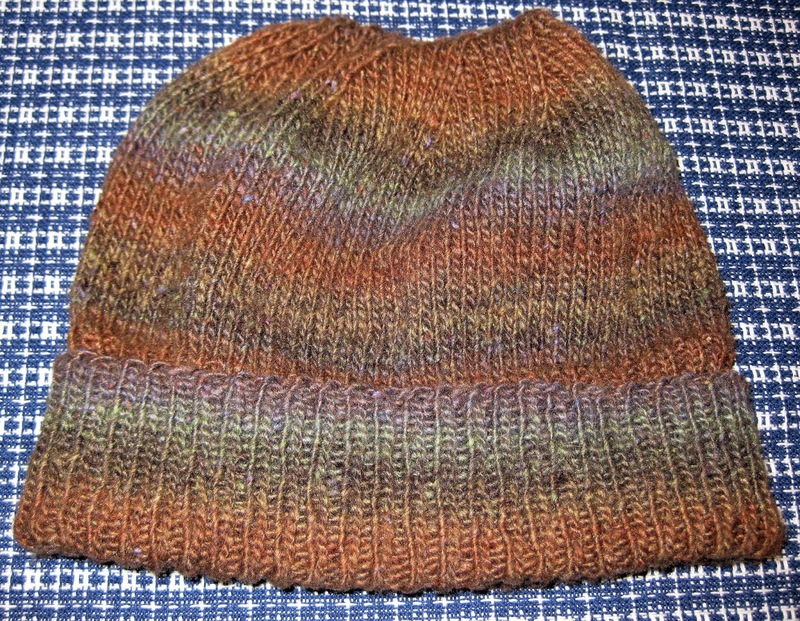 It is a very basic, easy free pattern, that I found here. I also made some progress on my bird girl. She is actually finished, but I will be a while longer in the trees! 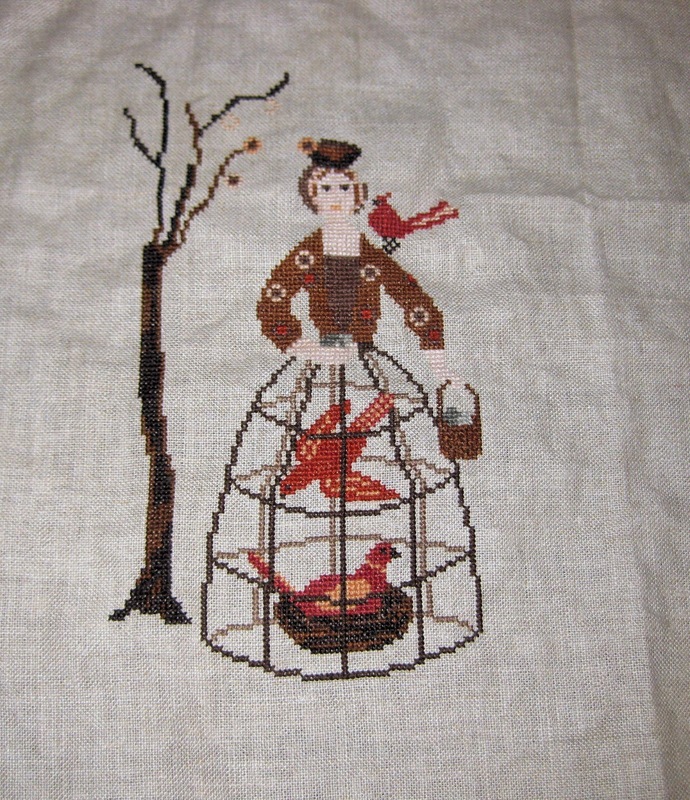 I always under-estimate how long it takes to stitch a tree, any tree, in any pattern. They always look so easy! The hat is lovely and looks perfect with the scarf. Love the bird lady too. I dislike stitching trees. With a vengeance. Which is ironic considering I love A&Es and of course they always involve a tree. lol! Bird girl is lovely! !The hat looks great with the scarf! Such a lovely hat and scarf. I love the thread colour you used. I hear you on the tree stitching, lol. I love stitched trees but stitching them is not very enjoyable, there are so many traps and sometimes I have to frog whole branches of the tree. Good luck with yours. 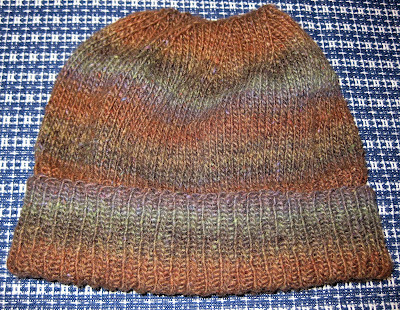 Congratulations on finishing your hat.